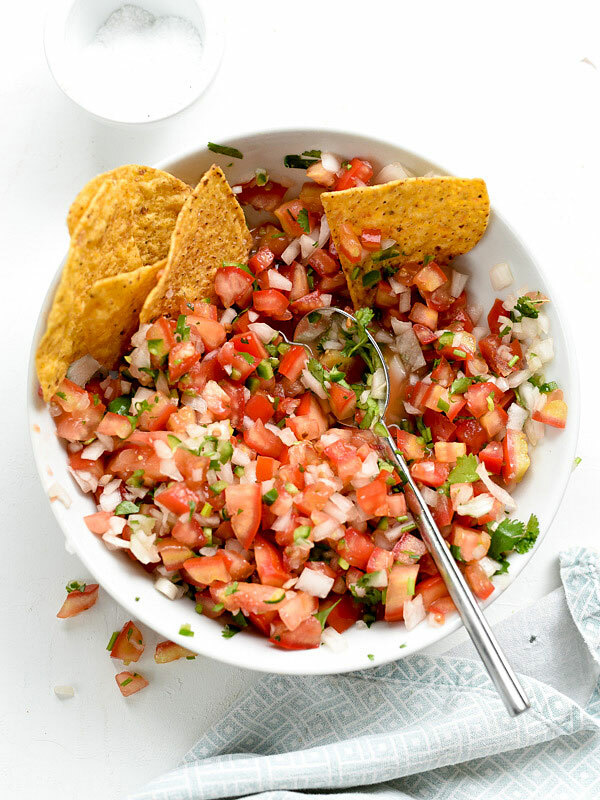 Pico de Gallo This classic Mexican topping can be made with or without jalapeños. Keep in mind that adding the seeds ups the heat. 1. Place 1 cup cold water and 2 ice cubes in a medium bowl. Add onion; stir, then discard ice; drain well. 2. Transfer to a medium bowl. Add tomatoes, cilantro, and jalapeño, if desired. Season with salt. 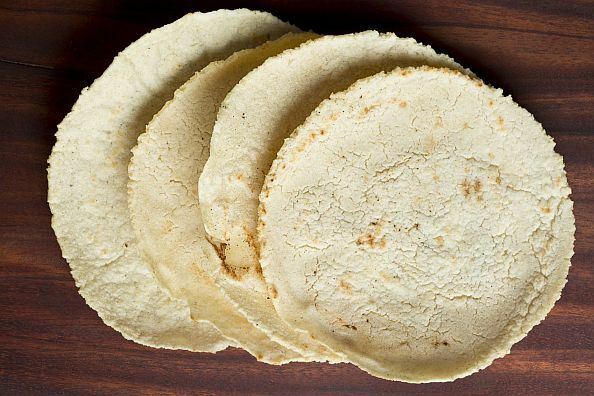 The unleavened bread of Mexican cuisine, corn tortillas are made from masa, a type of corn flour. Freshly made corn tortillas are delicious. But in case you don't have time for the press and grill routine, here are some tips on how to rejuvenate store-bought tortillas. 1. Whisk masa and salt in a medium bowl. Stir in 1 1/2 cups water; knead in bowl until dough forms. The dough should feel firm and springy and look slightly dry (think Play-Doh). Add more water by tablespoonfuls if too crumbly; add a little more masa if too wet. 2. Measure 1 heaping Tbsp. dough and roll into a ball. Flatten on a tortilla press lined with a plastic bag. If tortilla crumbles, dough is too dry (add more water); if it sticks to the plastic, dough is too wet (add more masa). Repeat, pressing out 2 more tortillas. 3. Heat a large cast-iron skillet over medium-high heat; lightly brush with oil. Cook 2–3 tortillas until charred in spots and edges start to curl, 1–2 minutes. Turn; cook through, about 15 seconds. Transfer to a kitchen towel; fold over to keep warm. Repeat, in batches, with remaining dough.